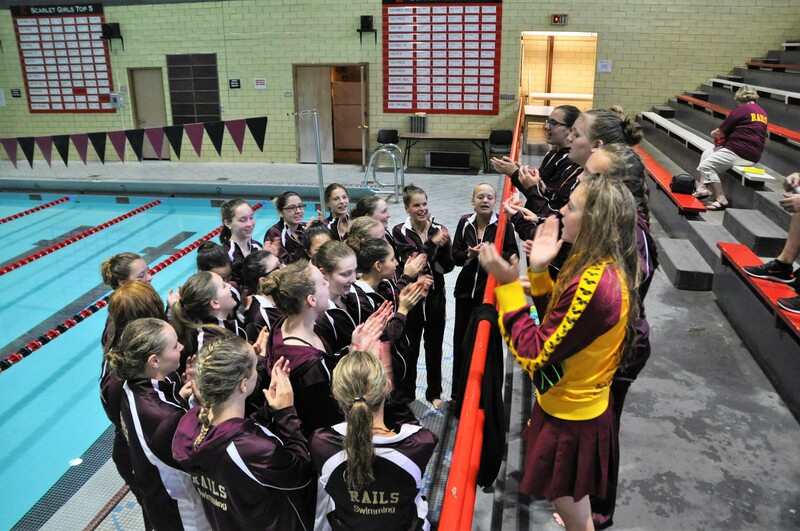 The Rails headed to East on Tuesday (9/20) to swim against their long-time rival, the Scarlets. The Rails were out to keep their conference record perfect and swam to an easy victory, 108-62. Lincoln won all but three events and saw some great times, despite a difficult training regimen for the two weeks prior. “There’s always a rivalry between East and Lincoln across all sports. This time we came out on top and we hope to continue to see some great swims as we near October and the start of taper,” said Coach Brayton Weber. Below are just a few highlights from the meet. Cat Dooley swam the 200 IM in an impressive 2:31.